We love our indoor/outdoor facility in the heart of Eden Prairie. 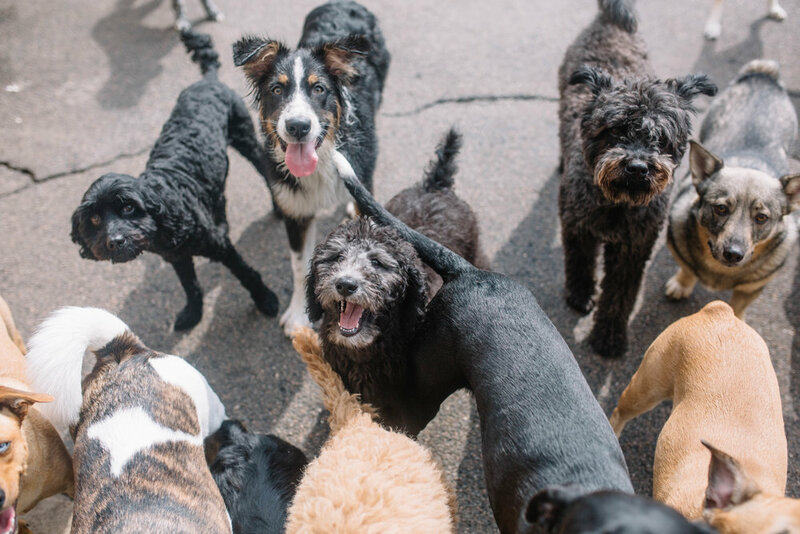 We offer five separated indoor areas for group play, a boarding room for overnight guests, a training room for our classes, as well as a large outdoor area with K9 grass! 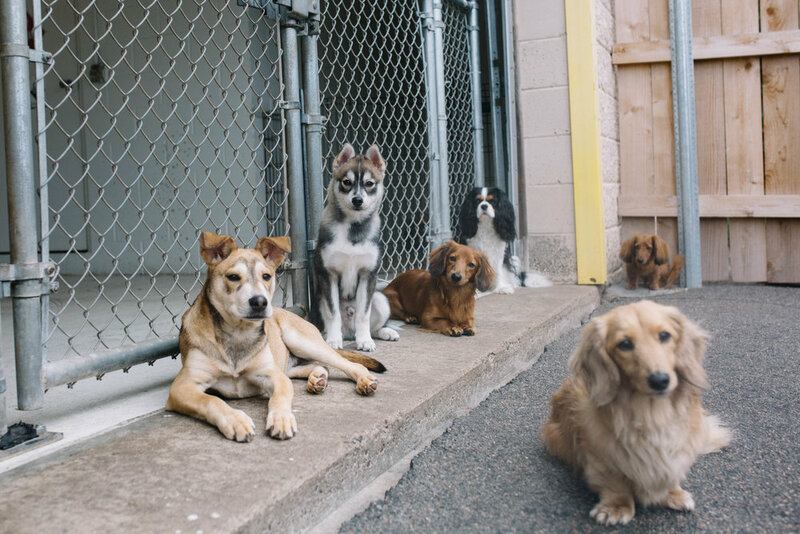 Our building is 100% heated and air conditioned for your pup’s comfort through all seasons. What makes Wag ‘n Woofs the best is simple- our devotion to your dog. We all have and love dogs, and strive to make your dog’s experience at Wag ‘n Woofs like a second home. You’ll see familiar faces every time you stop in, and your dog will be greeted by name. 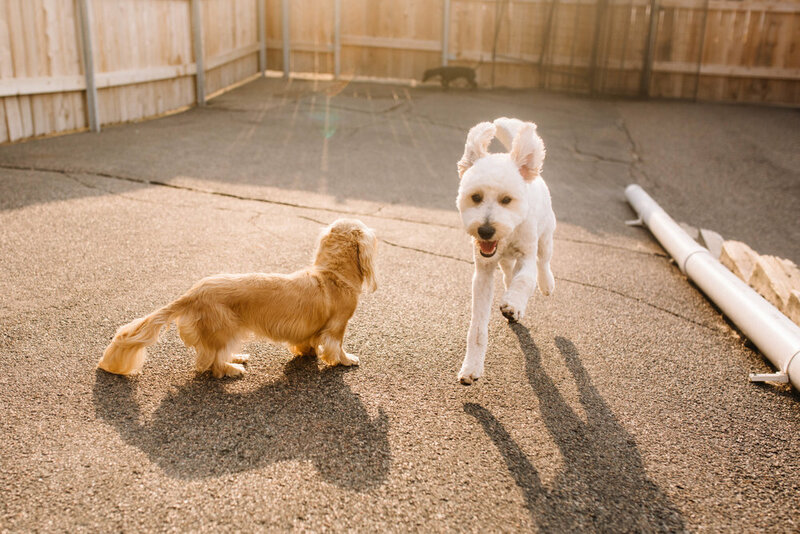 We are a smaller facility and pride ourselves on meeting each dog’s needs. We want to be a resource you can trust and rely on when you need your dog taken care of. Ready to paw-ty? Please complete the new guest form and we will follow up with you soon! At this time, overnight care is only available to dogs who have daycare with us.